The sea lamprey meiotic map improves resolution of ancient vertebrate genome duplications. Title The sea lamprey meiotic map improves resolution of ancient vertebrate genome duplications. 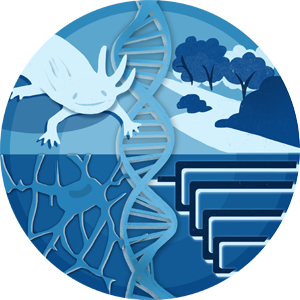 It is generally accepted that many genes present in vertebrate genomes owe their origin to two whole-genome duplications that occurred deep in the ancestry of the vertebrate lineage. However, details regarding the timing and outcome of these duplications are not well resolved. We present high-density meiotic and comparative genomic maps for the sea lamprey (Petromyzon marinus), a representative of an ancient lineage that diverged from all other vertebrates ∼550 million years ago. Linkage analyses yielded a total of 95 linkage groups, similar to the estimated number of germline chromosomes (1n ∼ 99), spanning a total of 5570.25 cM. Comparative mapping data yield strong support for the hypothesis that a single whole-genome duplication occurred in the basal vertebrate lineage, but do not strongly support a hypothetical second event. Rather, these comparative maps reveal several evolutionarily independent segmental duplications occurring over the last 600+ million years of chordate evolution. This refined history of vertebrate genome duplication should permit more precise investigations of vertebrate evolution.